Although I would never deny that my husband is a kindhearted, intelligent human being, his skills in the kitchen... well, mirror mine. In that neither of us really have any. If it comes from a box or requires a post of boiling water, we're all over that. But anything more complicated? Well, it better have a step-by-step recipe and instructions to go with it. While I've gotten a bit more adventurous over the years in trying new ingredients and attempting to use appliances other than just the stove top, he is more of a traditionalist, sticking to what he knows and the if it ain't broke mentality of thinking. Except when it comes to blenders. I've never known a man who loves his smoothies more than my husband and, therefore, one that has burnt through as many blenders as he has. Whether it's from trying to chop too much ice or running the motor for too long or simply just because we tried to save a few pennies and buy yet another cheap model, our blender has always been the one appliance that you turn on... and cross your fingers. Until one of the most powerful blenders available on the market arrived and changed our blending, crushing, chopping, mixing, processing life for good. 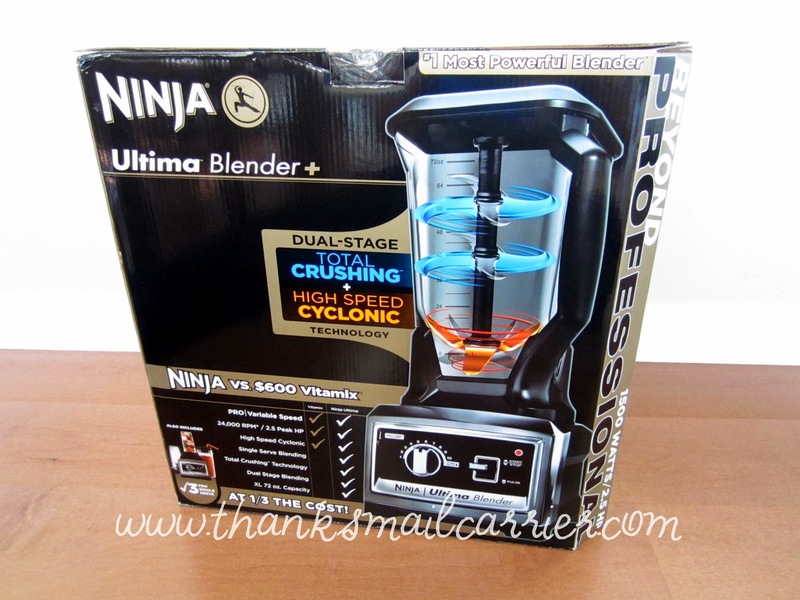 It's time to make room in your kitchen for the Ninja Ultima Blender. Providing professional performance and endless possibilities, the Ninja Ultima Blender is capable of going from gentle blending to total crushing in a matter of seconds and offers the utmost in versatility due to its power, speed and technology. But could it impress my blending master husband while still being simple enough for me to use? Right away I was happy to see that Ninja not only made the setup quick and easy, but that all of the detachable parts of the Ultima are dishwasher-safe and crafted of 100% BPA-free plastic. 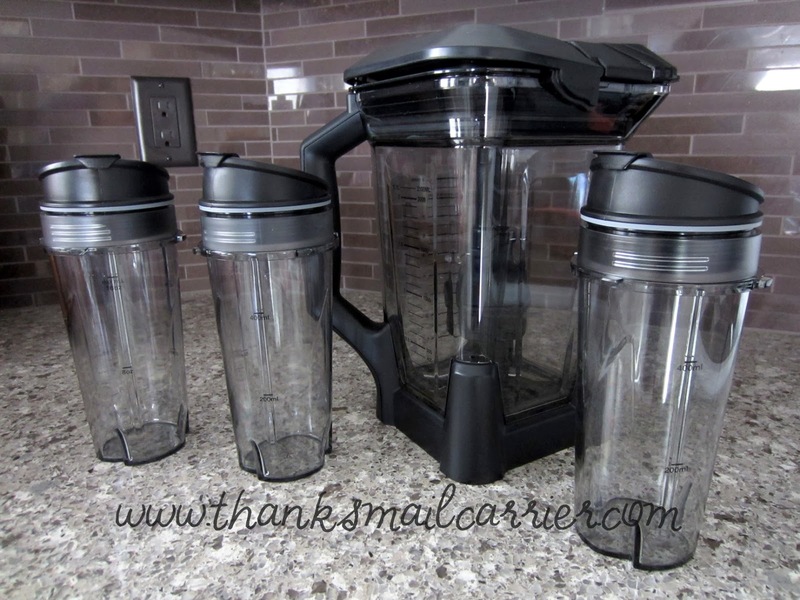 The convenience of being able to stick just about anything into the dishwasher is a necessity for me and, even better, this blender allows me to choose between the extra-large, 72-ounce multi-tasking pitcher or three 16-ounce single serve cups (that even come with Sip & Seal to-go lids). 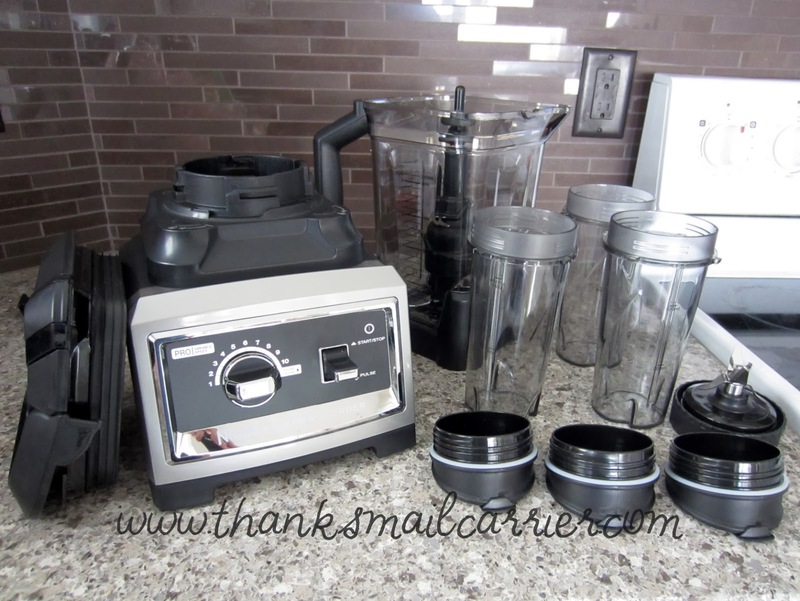 No more running out of space when whipping up large items and no need to use the full blender and then have to transfer my beverage when I'm just blending for me! As well as the size, the Ninja Ultima Blender doesn't skimp when it comes to power, speed and settings. I love that just by looking at this machine that it is clear that it can just about do it all! 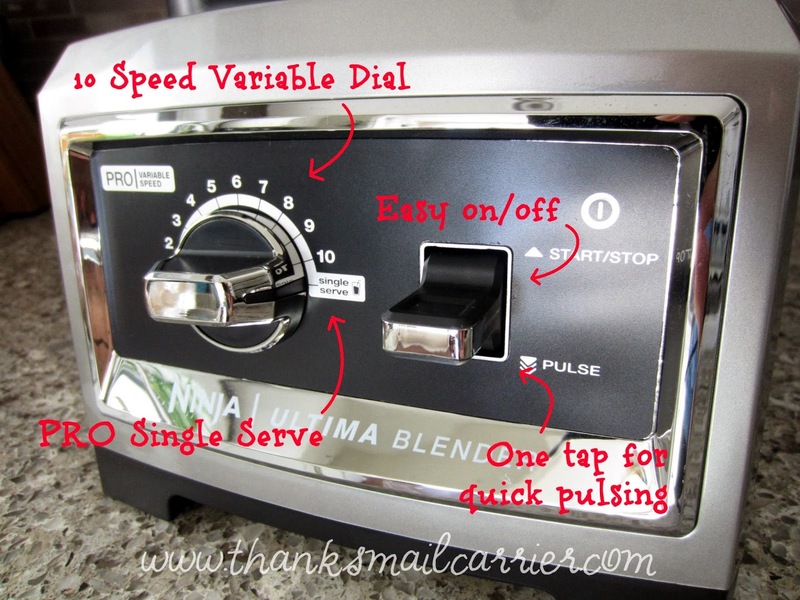 Although I don't claim to be an expert in the blender category, after having checked around, I'm even more impressed with the groundbreaking, patent pending Dual-Stage Blending Technology that the Ultima includes and that it is supported by 1500 watts and 2.5 peak horsepower (ahem, the same horsepower as a Vitamix blender, which we all knows costs the same amount as my first car). But it is the combination of blade speed and power that allows a blender to truly perform, and this appliance contains not one, but two sets of blades that stand up to everything that come their way. Up above, the Total Crushing Blades rotate at 5,000 RPM and are able to crush whole fruits, vegetables, seeds, ice and more. At the same time, the bottom High Speed Cyclonic Blades rotate independently at 24,000 RPM to liquefy ingredients into a silky smooth consistency in a matter of seconds. The result is that you simply choose from the expansive range of Pro Variable Speed settings so that your concoction blends to perfection. From blending perfectly smooth soups and beverages, grinding meats, chopping herbs, pulverizing whole fruits and vegetables, emulsifying dips and mixing cake batters, the Ninja Ultima Blender hasn't once let us down. While I'm not a smoothie connoisseur like my husband, I have loved the extremely smooth, grit-free consistency that the Ultima provides, because who likes trying to drink a chunky drink? I've been trying out our own tried-and-true recipes as well as those from Ninja and they've all been receiving two thumbs up... not to mention that I've come to appreciate the way that the 72-ounce pitcher (that's nine cups!) locks onto the motor base for safety and that the lid then locks on as well (and includes a pour spout to eliminate messes). Sauces, soups, snack bars, frozen drinks, appetizers, entrees... whatever you have planned for your menu in the upcoming holiday months, the Ninja Ultima Blender can eliminate much of time and hassle that cooking involves. Not to mention the inspiration you can find at NinjaRecipes.com and the restaurant-quality results! 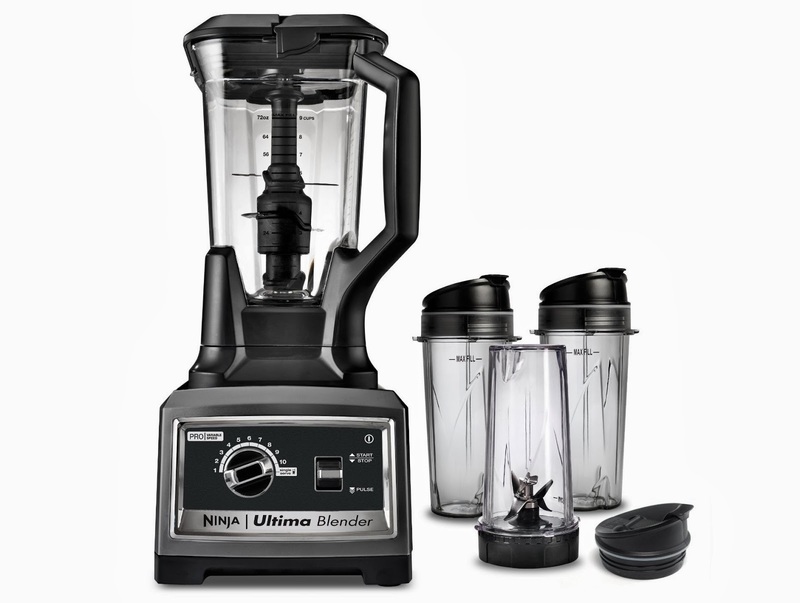 With an MSRP starting at $199.99, the Ninja Ultima Blender isn't a small purchase by any means. But considering how much we have put into cheap blenders in the past, knowing that we won't have to replace this one at any point does make the cost seem much more reasonable. Not to mention that if you were considering saving up for the power and durability of a Vitamix, that the Ultima can provide the exact same for about one third the cost. That alone makes the thrifty side of me extremely pleased! To find out much more about this and all of Ninja's incredible products, visit them at NinjaKitchen.com and connect with them on Facebook and Twitter. 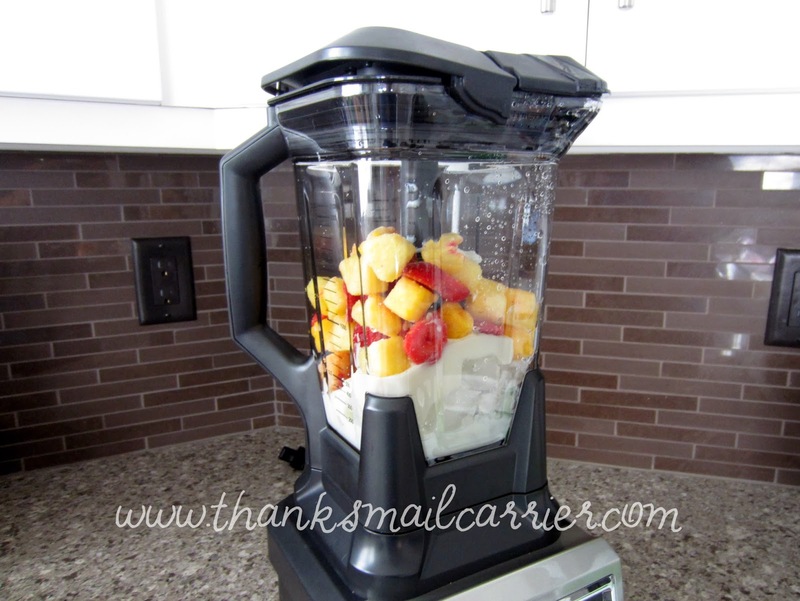 Other than the Ninja Ultima Blender that I was provided in order to facilitate my review, I was not compensated or enticed to do this post in any way. This review is solely my honest opinion about this product. It's worth considering that refurbished Vitamix and Blendtec blenders are on sale right now at what could be the ultimate low in years if not ever from what I gather. I'm in the market for a blender right now and with less than $100 extra you can get one of the two top brands both made in the US to boot. I looked at the Ninja and it doesn't pack the same wattage and it would make me uneasy to burn the motor out seeing as you say it's not a small purchase. I have a Ninja and it works well for me. Toss in a slice of ginger to your smoothies for extra goodness and spice. Wow this looks like fantastic quality compared to the blender I currently have! I have the hardest time getting things crushed or pureed. This would do the trick! I would love to get a Ninja blender. My current blender is old and in its last legs I even lost the top so I have to put a cloth over the whole. Maybe I will put the Ninja blender on my Christmas list! 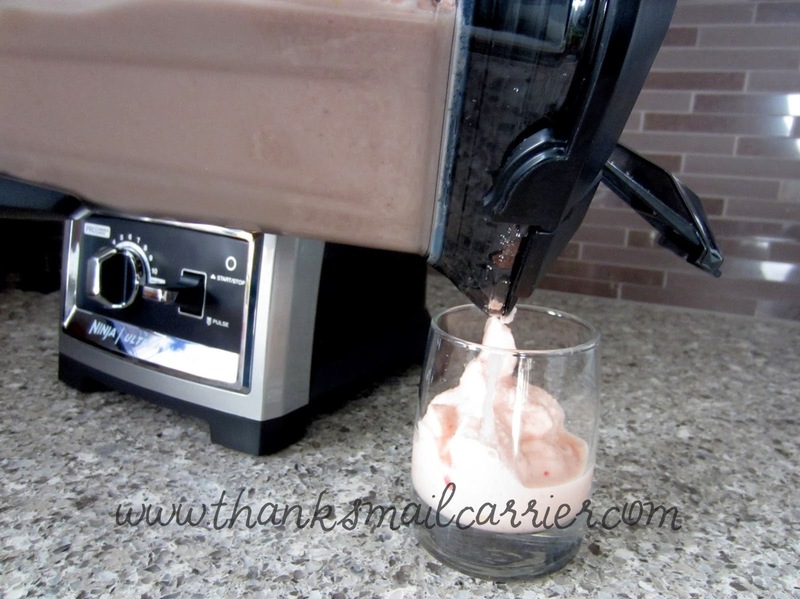 I've only ever had the twenty dollar Walmart special blenders, and it's so annoying. I would like to have a forever kind of blender - but there's just too many things we need before I could justify the want. Maybe one day....it does look fabulous. Oh my, I suddenly have a bad case of blender envy. Unfortunately, the odds of me getting a blender in that price range are very low, but thanks for chance to see how the Ninja works in a real kitchen. That blender puts mine to shame. With so many expensive blenders out there, it's hard to tell which one is worth it. The Ninja sounds like a really good value.